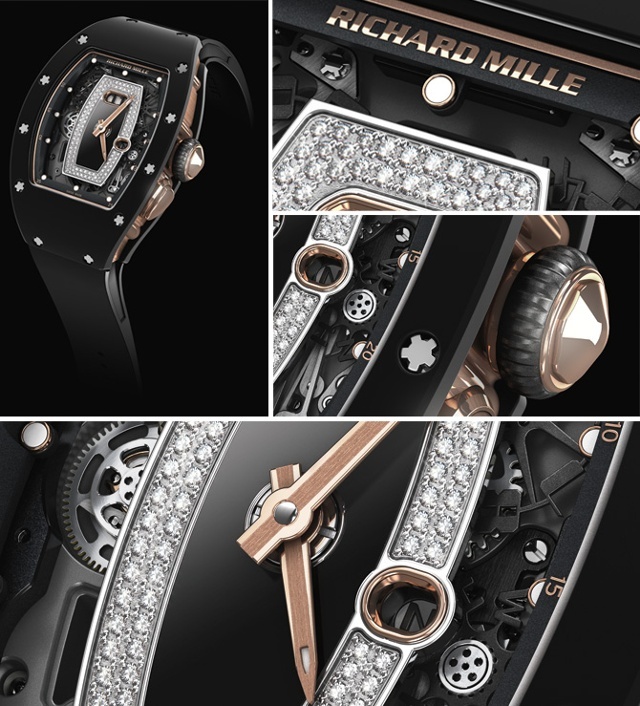 I was intrigued to learn that Richard Mille is designating 2014 as the Year of the Woman, and the best part is that each of the new models introduced for ladies is technically equal to the watches the brand produces for its male clients. No cotton-candy pink. No quartz. No kidding. One example is the RM 037, which this year is reinterpreted as a fully feminine timepiece as opposed to its unisex predecessor. 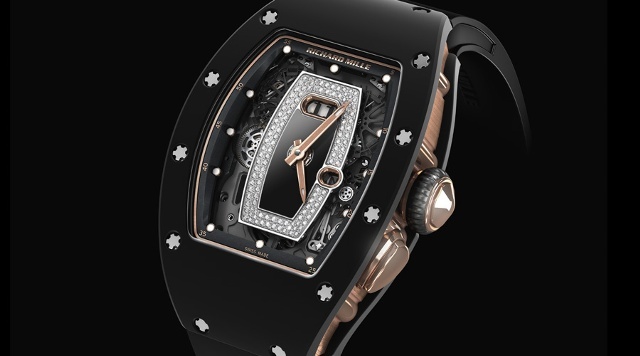 The skeletonized movement baseplate and bridges are in black PVD treated grade 5 titanium. There’s a large date at 12 o’clock created from two skeletonized rotating discs and a function selector that allows the wearer to choose between Winding, Neutral or Handsetting, all without the need to pull the crown in different positions. Two pushers resembling drops of water, one placed between 10 and 11 o’clock (date adjustment), and 4 and 5 o’clock (function selector), allow for easy access to the these functions, with the action chosen appearing in a small window (H-N-W) between 3 and 4 o’clock. 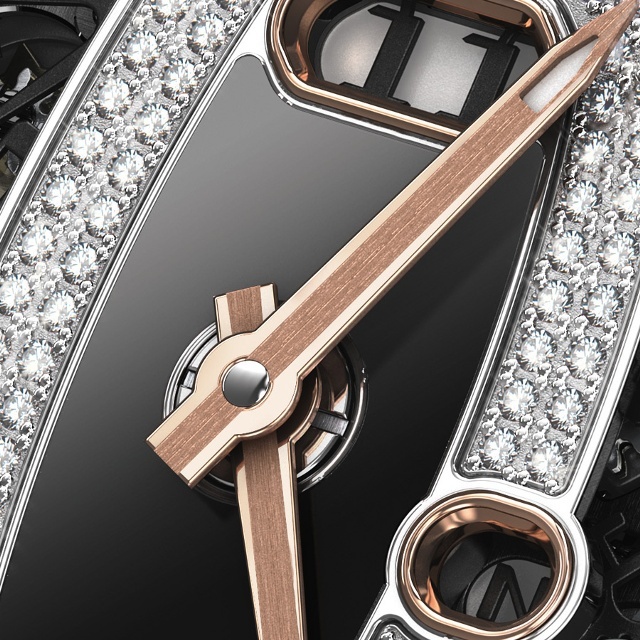 The case is available with an 18-karat red gold case band with a scratch-resistant bezel in white or black ceramic or in all 18-karat gold with a variety of gemstones and dial variants.